In the midst the the last minute Christmas shopping and the frenzy of racing around to make sure everything's done... It's nice to sit down for a relaxing breakfast with coffee and your current read. This is exactly what I did yesterday! Here's a little tidbit about me that you may not know - I love avocados. Seeing two lovely little avocados sitting in our kitchen, I couldn't help it! 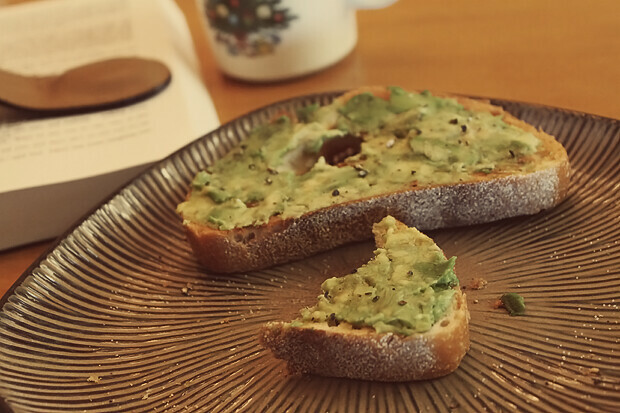 I did something I've never done before, but will definitely be doing again - avocados on toast! It was simple really. 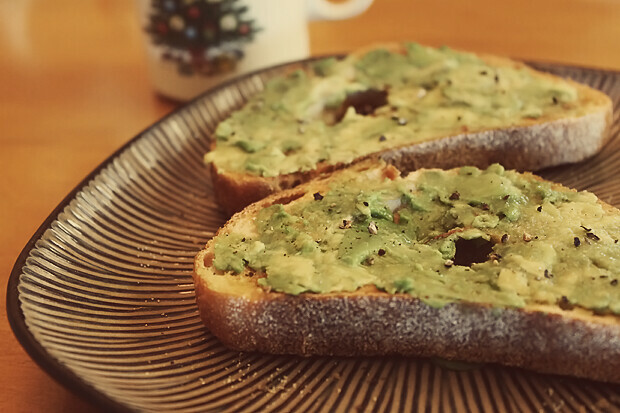 Toasted bread, mushed up avocados, and salt & pepper for more taste. It was delicious. avacados so good. want in mouth. That looks so yummy! I love cozy days with good food and good books. I actually haven't tried many dishes with avocado. I'll have to try it out! You know I love you E ... but that avocado toast thing? Ew. xoxoxoxo! i've totally done the avocados & toast thing a time or too... so freaking delicious. I never even thought of putting avocados on toast! Might have to try that out! Yum! 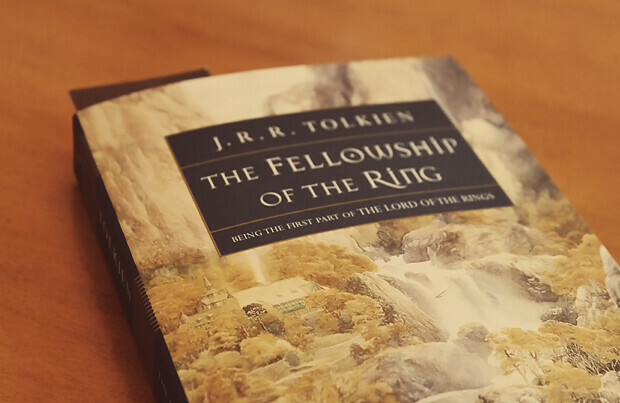 Love that book, it's such a good one. first off, that breakfast looks delish!! i love avocados so much! I am absolutely crazy about avocados too!! My roommate and I try to use them whenever possible. I love that you are reading the LOTR as well. Have you seen the new trailer for the Hobbit movie. Looks pretty exciting! Look at you Miss Glamour! Merry belated Christmas! I saw Infected Mushroom this summer at a festival in Alberta. Are you a longtime fan? I wasn't particularly fond of their live set... I much prefer Classical Mushroom!